You must make reservations at least 5 minutes in advance of the time at Ramparts Tavern. A local Alexandria restaurant since 1978. Recent renovations make this neighborhood spot comfortably elegant. Chef Jermaine Keys offers spectacular specials every lunch and dinner. 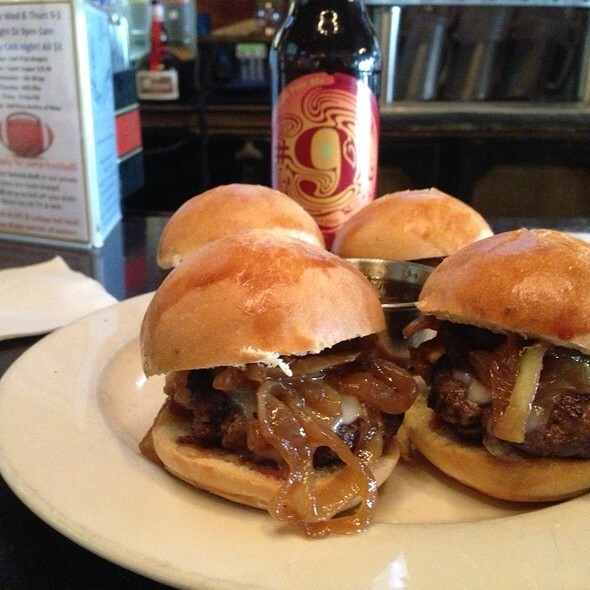 Pair your meal with wine from our list of over 80 or beer from our list of over 100. Our brunch menu is available Saturday and Sunday. We also offer a private dining room for any occasion. 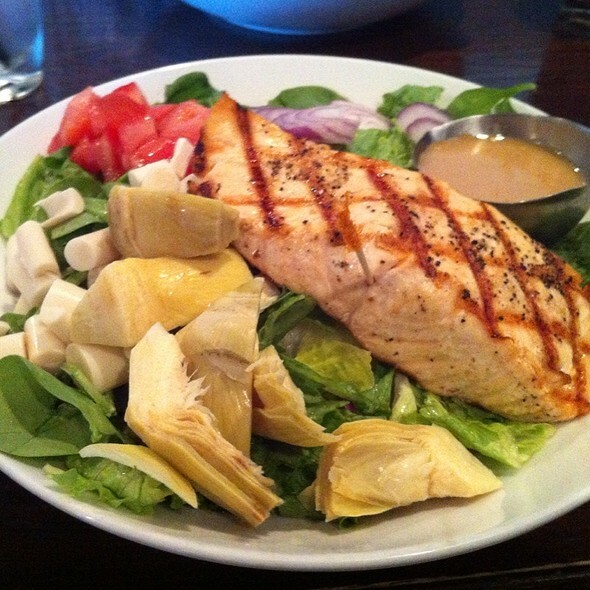 Come enjoy a great meal with us! Ramparts was perfect for our family special event. The staff was very accommodating to our ever changing needs. The menu was great and provided options for our teens, mothers and fathers. The French onion soup and the grilled vegetable wrap with Brussel sprouts was very good. They were out of some craft beer s on draft but they have a good selection of cans to choose from. Ribs and house sauce delish! Steak salad was delicious with ingredients and seasoning perfect. Have always had great service and food at this restaurant! Very good selection. Exceptional friendly service. Great location with plenty of nearby parking. 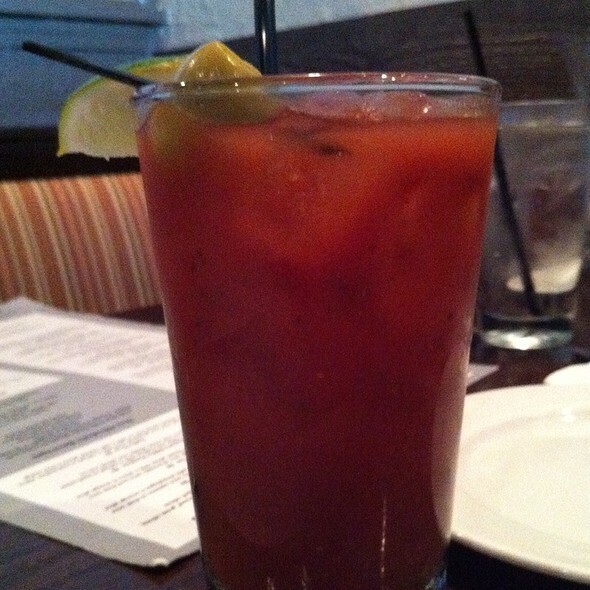 Always great for brunch! Friendliest staff in town. Excellent food, great service and cozy atmosphere. It was much better than I expected. Nice neighborhood gem. Loved it! Such a nice place with incredible food. Highly recommend the Jack Daniels Eggs and the Belgian waffles with apple pie topping--yum! And it was a reasonable cost for our large party of 14 for my son's sweet 16. I would definitely come again. Absolutely the best ribs we have had in the DC area. The place is very welcoming and friendly. It can be quite noisy as it is ver popular with locals. We are regulars and always look forward to returning. Funny setup. Tried to put us at small table. Ate at the bar. Bar tender was great. Usually reliable and good - 25 minute wait for what is usually 5-10. Had to ask if there was a party and apparently there were 2. Okay, but since we know the waitress and the side we we on had 3 other tables, it would have been smart to tell us there would be a delay. My crab cake was warm, not hot and neither were the vegetables. The fries were hot but seriously ! Servers were always available, meals arrived even earlier than I expected, our group of ten were unanimous in our rating. Always reliable and good neighborhood place ! We arrived early for our reservation and the hostess was extremely accommodating. She came over to see if anyone had taken our drink order. When we replied “no” she took our order and the bartender quickly fulfilled it! She continued to check on us throughout the evening. She is a jewel! Food was very good and we will be returning. Ramparts offers a delicious grilled burger that I loved...service is also very attentive and fast. I arrived 45 minutes early and alone as my cousin cancelled at the last minute. The hostess seated me at a two-top near her stand, which I agreed to. Five minutes later she came over and moved me to a booth near the back -- quieter and more comfortable. A solo woman doesn't often get that kind of consideration. Will definitely return and recommend. Oh, the the shrimp taco, daily special, was outstanding. I love Ramparts for brunch. 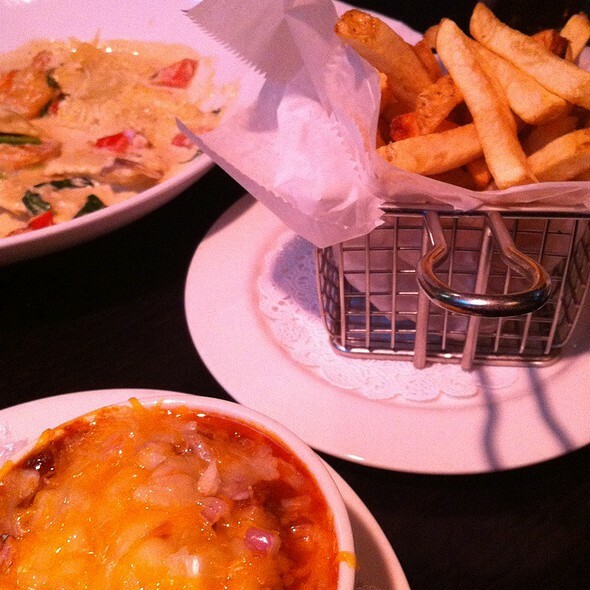 The food and service are terrific, and the prices are very reasonable. It was great as always, we are fairly regular patrons and I am a fan for sure. The service was excellent, so was the wine. The sandwich I ordered was just so-so. Always a tried and true neighborhood place...Very good innovative food and regular staples ! Always reliable and good~ great basic and innovative specials too- staff terrific ! Nice brunch menu. Food was good, coffee plentiful. Wait staff managed special requests well. Will add this to our list of regular places, as brunch is our preferred meal out. I went for restaurant week food was good. Ordered hamburgers well done. First burger was okay but second burger was almost rare. I tried to eat some but it was more rare closer to center. Waitress took it back and chef tried again - this time it was well done inside but black charcoal on the outside. The manager took the price of one burger and one drink off and apologized. The staff were nice and professional but If your kitchen has that much trouble with a hamburger, I can’t imagine how they can properly prepare any other dishes. My favorite restaurant, food is always excellent. We mark our calendars for September as September is Rampart's "Scallop month". They grill scallops perfectly! Nice place. No one asked us when we entered whether we had made a reservation on open table. Service was decent, but I sampled one liked it, but was brought something different. One of our party didn’t get the correct side dish, but it was remedied. Overall pretty good, just minor flaws. Ramparts is one of those places that satisfies both the spontaneous "let's go out for dinner tonight" as well as the "the kids will be up next weekend; let's reserve a table". There is something on the menu for all of us (including a vegetarian or two), and the monthly specials, while often very good, are sometimes spectacular. The beer and wine selection is decent, and the service is always excellent. 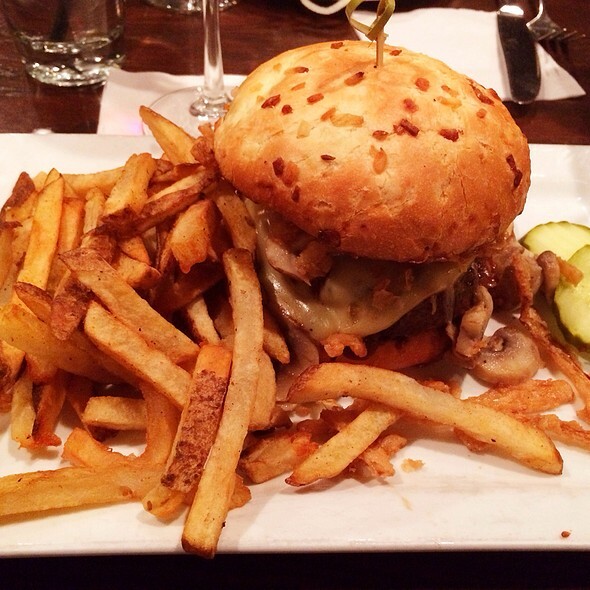 The "signature burger" holds its own against any burger competitor. Even if it weren't across the street and a 10 minute walk - making it a "neighborhood gem" - it is well worth a visit from metropolitan DC. Very relaxing place the service was exceptional. The food is always great. We try to go at least once a week. It is a nice quiet place to socialize with your dining party. We like this place as a local sports bar with decent food. We enjoyed brunch a little while ago, but tonight things were just off. The guacamole with the quesadilla was gross, my burger was undercooked and their club sandwich was meh (and they forgot the tomatoes). They recooked the burger, but my husband was done eating by the time it came out. The server was great, despite the bar being busy/noisy, just didn’t love our food this time. We’d give dinner another chance when it’s earlier/less chaotic. We go for dinner all the time. This was our first time having brunch there. It did not disappoint. We were a party of 5 dining to celebrate my husband’s birthday. Four out of five meals were great. Unforteunately, it was my husband’s meal that was less than satisfactory, wich was the burboun chicken. The chicken lacked flavor and the brioche bun was not as soft as it should be. We ordered the Reuben and vegetable sandwiches and they were terrific, as was the cold slaw. Our waiter was especially great!